For the processing of steel and stainless steel, high-alloy steels, chrome and chrome nickel steel, titanium alloys, brass and bronze. 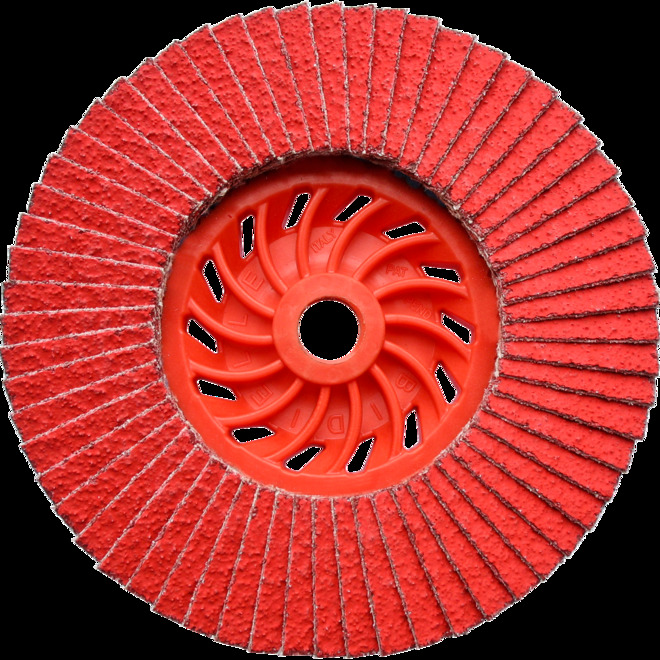 High-End Product: Flap disc with glass fibre reinforced plastic backing. 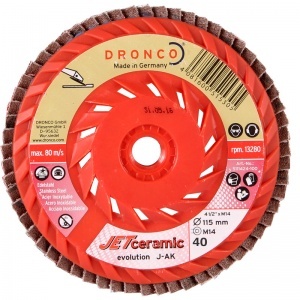 Ceramic grain abrasive on polyester cloth. Fully resinoid bonded with fillers for active grind support. 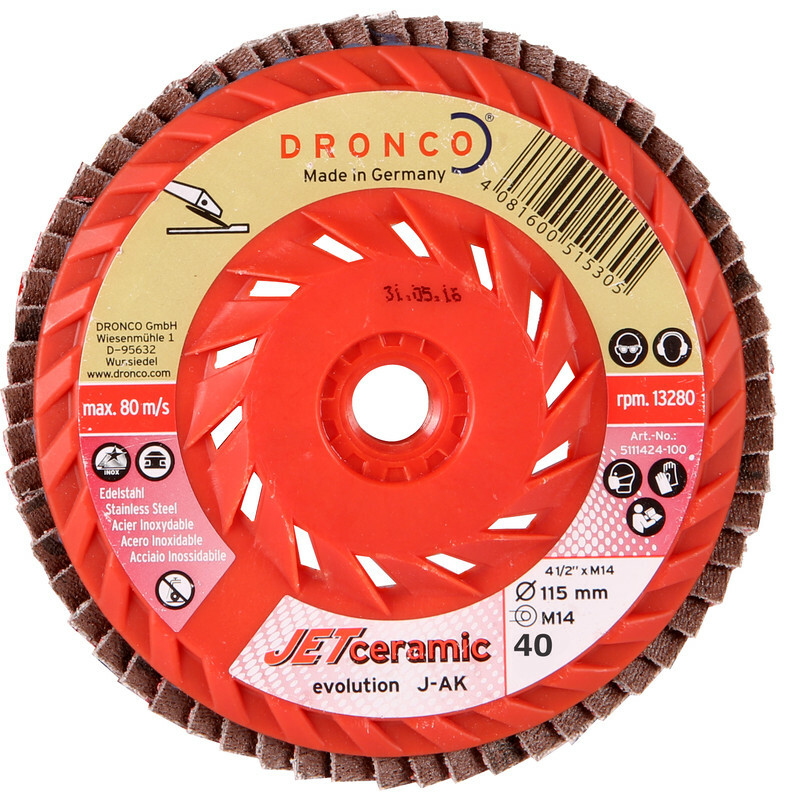 Self-sharpening ceramic grain for extremely high, permanently available stock removal as well as a long service life. Packing unit: 10 pcs.